From preheating pans to perfecting eggs. We recently asked members of the BuzzFeed Community what their most burning cooking questions were. With the help of Candace Stock, executive sous chef at Triangle Catering in Durham, North Carolina, we were able to bring you some answers. 1. For runny yolks with cooked whites, try steam-basting your fried eggs. Answer: One way to fry eggs without the risk of breaking your yolks (or undercooking the whites) is by steam-basting them. Simply heat your oil in a hot pan, add your ~cold~ eggs (cold egg yolks are less likely to break) and a few drops of water, and immediately cover with a lid to trap the steam. The outside of the egg yolk will cook slightly (preventing it from popping) while the inside remains nice and runny. 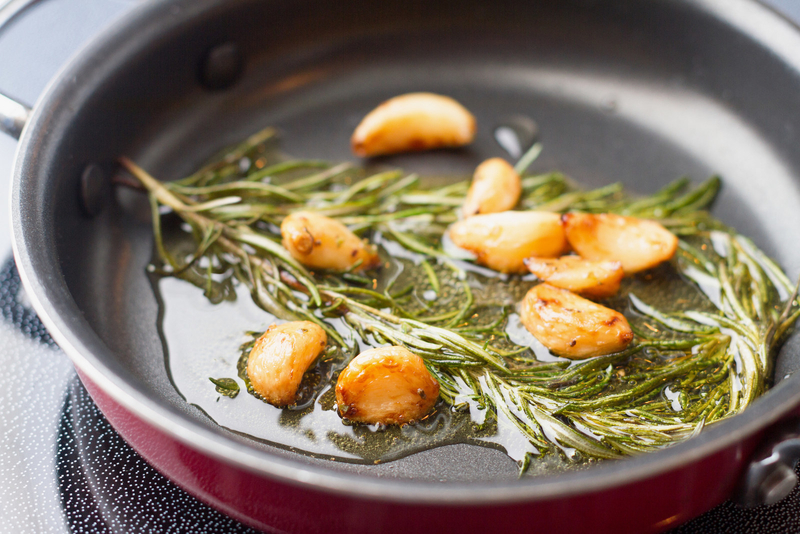 See a step-by-step guide to steam-basting here. 2. To make sure your pan is hot enough, do the water test. Answer: Heating oil until it shimmers is just a fancy way of saying "until it's hot" (but not too hot). "The oil spreads out, begins to glisten, and ripples," says Stock. You want the oil to be hot, but you don't want it to start smoking. One way to test your pan before you put the oil in is by adding a few drops of water. The water should roll around in the pan and eventually evaporate, not just sizzle in one place. If your water rolls around as if it's dancing, your pan is hot enough and ready for oil. Read more about the water test here. 3. Washing your chicken is useless (and could actually be causing more harm than good). Answer: Nope ― and it's actually recommended that you don't. According to the USDA, you should avoid washing raw chicken because you could spread potential bacteria from the juices to other items. "We don't wash our chicken," says Stock, "but I have heard of chefs rinsing certain proteins for a better sear ― never for sanitary reasons." The best way to make sure your chicken is safe to eat? Cook it until a thermometer reaches 165ºF. Read more about why you shouldn't be washing your chicken here. 4. Don't cook acidic foods in aluminum or cast-iron pans. Answer: When choosing the right pan to use, one thing to keep in mind is not to cook acidic foods in aluminum or cast-iron pans ― the combination may cause your food to discolor or taste bad. Instead, use stainless-steel (which Stock prefers for cooking veggies) or enamel pans when cooking acidic foods (such as tomato sauce, soy sauce, or citrus juice). Another thing to keep in mind is the weight of the pan. Generally speaking, heavier pans get hotter and are better suited for searing and recipes that require high heat. "I use cast-iron pans for cooking proteins," says Stock, "they get super hot, and a well-seasoned pan adds great flavor." Check out even more tips for picking the right pan here. 5. For perfect soft-boiled eggs, boil them for six to seven minutes and immediately submerge them in ice water. Answer: Cooking soft-boiled eggs can be tricky — but it's just about boiling them for the right amount of time, and then immediately stoping the cooking process. Bring a pot of water to a rapid boil and add *cold* eggs (make sure you use them straight from the fridge), boil for six to seven minutes, then immediately transfer them into an ice bath. Peel them right away and you'll have perfect soft-boiled eggs every time. See the full directions here. 6. Never use butter for high-heat applications (like searing) ― instead, use an oil with a high smoke point. Answer: If you want to cook your steak in butter, start cooking it in an oil with a high smoke point (such as avocado or safflower oil) and finish it with butter at the last minute. This will give you that delicious butter flavor without burning the milk solids. Alternatively, you could make a compound butter. "Instead of cooking with butter," says Stock, "we make a compound butter (a mixture of butter and herbs) to serve with our steaks so you get that fatty, salty flavor without the risk of burning it." Anytime you cook at a high temperature (like stir-frying, searing, or deep-frying), choose an oil with a high smoke point to prevent it from smoking up the house and developing an undesirable flavor. Learn more about cooking with various oils here. 7. To prevent lumps in your gravy, add your liquid in steps instead of all at once. Answer: Anytime you add liquid to a roux, you want to do it slowly. If you add it all at once, the roux won't break down and lumps will form. This can happen when making cheese sauce, alfredo, sausage gravy ― anything that's thickened with a roux. The trick is to go slow, add just a little bit of hot liquid at a time, and whisk until smooth. "It's important that the liquid you're adding to your roux is hot," explains Stock, "if you add a cold liquid to a hot roux you'll end up with lumps of undissolved flour." Answer: Two cuts of beef that chefs love (because they're both delicious and affordable) are flank and skirt steaks ― both of them are quick-cooking, super flavorful, and only cost about six dollars a pound. The only downside is that both of the steaks can easily overcook, so make sure to keep an eye on them and always cut them against the grain. Learn more about these two underrated cuts here. 9. Cuts of meat that have the words chuck, brisket, or round in them should be cooked for a long time. Answer: This comes down to the cut of beef you're using. 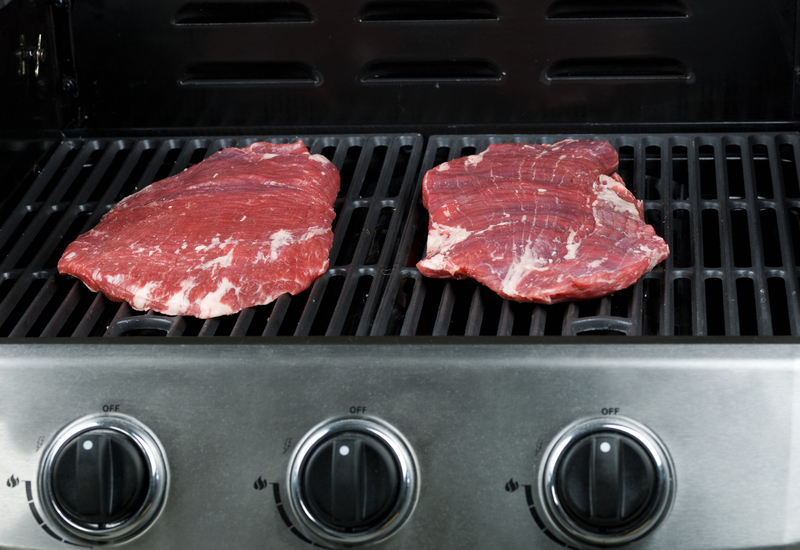 As a general rule, cuts that are called chuck, brisket, or round require a long cooking time. This is because the slow cooking process breaks down the connective tissues and makes them tender. 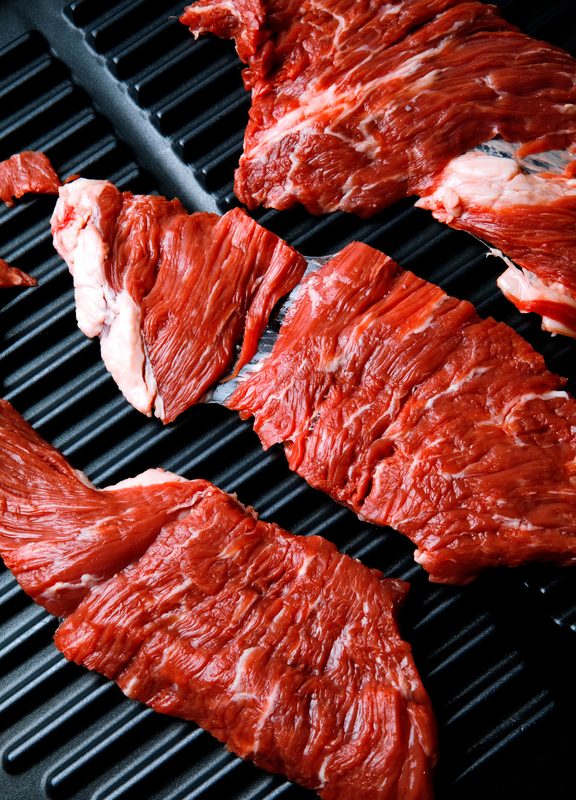 For other steaks (such as strip, flank, or skirt steaks), cooking quickly makes sure that the meat doesn't dry out and become overcooked. It's all about pairing the right cut of meat with the right cooking process. Learn more about braising (AKA slow cooking) meat here. 10. If your fish still has scales, simply run your knife along them to pop 'em right off. Answer: "Always scale them," says Stock. The best (and easiest) thing to do is simply run your knife against the skin to remove them (don't bother with those fancy fish scalers). Once you see a netting pattern instead of a shiny scale pattern, you're ready for cooking. 11. Don't throw away your fryer oil ― save it for another use. Answer: Fryer oil can actually be used several times (if stored properly). The trick is to completely cool it down, strain it through a fine-mesh strainer or cheesecloth, and transfer it back into the bottle. 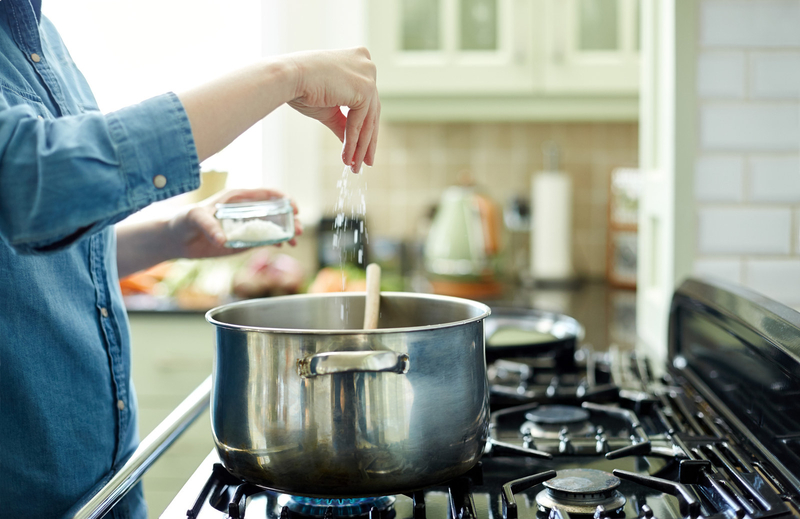 By removing any leftover cooked bits, your oil will stay fresh and can be reused several times. See a complete guide to reusing fryer oil here. 12. To extract the most flavor, bloom your aromatics in oil. Answer: Not quite. "Layering flavors" is all about what ingredients you're putting in a dish ― and in what order. A general rule of thumb is to start with aromatics (ginger, spices, etc) so they can bloom and flavor your oil, then add all of your remaining ingredients from longest cooking time to shortest. "Delicate herbs can get bitter if cooked too long," says Stock, "so it's important to add these toward the end." Chefs also layer favors by seasoning with acid, toasting spices, and using several other techniques that amp up flavors and bring food to life. Learn more about layering flavors here. Note: Submissions have been edited for length and/or clarity. Want to be featured in similar BuzzFeed posts? Follow the BuzzFeed Community on Facebook and Twitter.